The software giant Microsoft has finally decided to retire MSN Web Messenger, the service founded by Sabeer Bhatia and Jack Smith. The service will be officially retired on Tuesday, June 30, 2009. The official Windows Live team website has notified that the popular MSN Web Messenger will be retired, and it will be replaced by the already available new Windows Live Hotmail, operated as part of Microsoft’s Windows Live group. San Francisco - Microsoft on Thursday unveiled pricing for its Windows 7 operating system, which will be available in stores on October 22 to replace the widely reviled Windows Vista. The world's largest software maker also announced a programme starting Friday through which consumers can pre-order Windows 7 for the next two weeks at discounts of more than 50 per cent. Also Friday, buyers of new computers running Windows Vista will be entitled to a free upgrade once the new operating system is released. San Francisco - Microsoft is to strip its Internet Explorer browser from the new version of its Windows 7 operating system that it sells in Europe, the company announced Thursday. Microsoft said the move was designed to meet criticism from European Union regulators who have launched an investigation into whether bundling the browser with the operating system is in breach of European anti-trust rules. The software giant Microsoft has released the beta of IIS SEO Toolkit, which helps the web owners in Search Engine Optimization (SEO) operations. The IIS SEO Toolkit helps the owners of the websites running on IIS (Internet Information Services) to conduct a thorough SEO analysis of their websites and identify and rectify the issues, if any. San Francisco - Microsoft stepped up its efforts to cut into the search dominance of Google, launching a public preview version of its widely praised Bing search site Monday. The site offers several features that are not automatically available on Google such as instant excerpts that allow users to see the contents of a page without actually clicking on it and a sidebar detailing related searches. San Francisco - Microsoft is planning to spend up to 100 million dollars on a cross-media advertising campaign for its new search product Bing which it hopes can eat into Google's dominant position, the trade magazine Ad Age reported Tuesday. Microsoft has been the search engine for several months under the name Kumo, and plans to officially release details about it at a technology conference later this week. Rival Google, meanwhile, spent just 25 million total on advertising for the entire last year, AdAge said. 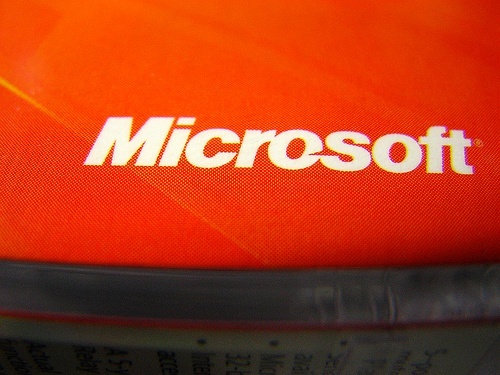 Software giant Microsoft, which recently lost a patent suit, is now facing a $200 million penalty. A verdict has been passed by a US district court, which says that the company violated software patents held by Canadian software firm i4i. The case concentrated on patents for dealing with XML code in Microsoft Word. Emails by Microsoft were presented as evidence by i4i, which according to plaintiffs not only present infringement on the patents, but knowledge by Microsoft of the infringement. Software major Microsoft expanded its BlueTrack peripherals product line with the addition of two new mice, a keyboard and a Webcam. The features of the Wireless Mobile Mouse 6000 are many, one of the them being the option to plug-and-go nano transceiver, that would allow the users to stay plugged into their notebook all the time. This wireless mouse operates without power interruption for up to 10 months on a single battery and would provide a 2.4GHz wireless connection with up to a 30-foot range and virtually no interference. Tuesday saw Microsoft releasing a patch with the aim to fix a serious vulnerability in PowerPoint that had already led to exploits. Though the vulnerability has been rated as important for Office XP, Office 2003, and Office 2007, it has been listed as critical for Office 2000. It should be noted though that the basis of targeted attacks had already been formed by the hole, persuading Microsoft to come out with a warning last month. On Tuesday, software giant Microsoft, which earlier had confirmed laying off 5,000 employees including 55 in India, said that if the economic downturn dramatically worsens again, it may look at more layoffs. It was expressed by Microsoft Corporation CEO Steve Ballmer that the company would finish its plan if the economy stays as bad as it is and doesn't get dramatically worsen; however if it gets dramatically worse again, the company will look at things again. San Francisco - Microsoft has sent layoff notices to more than 3,000 workers, almost completing plans announced in January to fire some 5,000 workers, the company said Tuesday. Microsoft had already cut 1,400 positions when it made the announcement of the first mass layoffs in its history. In an email to workers Tuesday, Microsoft Chief Executive Officer Steve Ballmer indicated that further job cuts could be needed. In its Friday night-released product update users’ manual titled “Windows 7 Product Update: Key Changes Included in the Release Candidate,” Microsoft has charted a few new features for the Windows 7 users. The small businesses-specific feature, facilitating their move to Windows 7, comprises an 'XP Mode' to allow users to install and run applications in a Windows XP environment running under Windows Virtual PC. According to Microsoft’s late Friday confirmation, the much-awaited Windows 7 Release Candidate 1 will be released to early adopters on its schedule – April 30. Giving the latest news about the stable and completed code for Microsoft’s Windows 7 operating system, manager Brandon Le Blanc said in an official blog posting that while mass availability of the OS will begin from May 5, users who subscribe to Technet or Microsoft Download Network (MSDN) will be able to download the release candidate on April 30 itself. San Francisco - Microsoft reported a drop in quarterly revenues Thursday for the first time in the 23 years since it went public. But investors still gave the world largest software company their approval, sending Microsoft shares higher in after-market trading as its aggressive cost cutting measures preserved profitability. As a part of groundwork move for the final launch of Microsoft's next version of the Office suite in the first half of next year, the company Tuesday announced having begun extensive testing of the product. Code-named Office 14, the product will be expectedly dubbed Office 2010, with all its allied gears to also come with the 2010 mark. While some of the earliest testing of Office 14 was undertaken by the company in 2008 called for a technology preview, with a beta to follow this year; the details of the recent not-so-pushy schedule have not been divulged. Rolling out its new entry-level gaming console Xbox 360 Arcade in India, Microsoft intends substituting it with the Xbox 360 Core model. The new console offers five interesting Zbox LIVE Arcade games - Uno, Luxor 2, Boom Boom Rocket, Feeding Frenzy, and Pac-man Championship Edition. Microsoft on Friday morning fixed its previous day glitch affecting its MSN, Windows Live and Hotmail services. The “temporary outage” caused widespread panic among users when their sign up was invalidated with their inboxes disappearing, and instructions for signing up a new e-mail account! Late Thursday night, Microsoft assured the users that their inboxes as well as e-mails were “safe,” and that the quandary resulted from an “incorrect message,” which apparently had been sent out during the company’s “routine maintenance” procedure. Good news for the gamers in India! The maker of Xbox gaming console, Microsoft has released its Xbox 360 Arcade in India. The entry-level console - Xbox 360 Arcade has been launched to replace the Xbox 360 Core model in India. The Xbox 360 Arcade offers everything for gamers' contentment. It comes with a pack of five classic arcade games, including Uno, Luxor 2, Boom Boom Rocket, Pac-man Championship Edition, and Feeding Frenzy. Bonn, Germany - German's main competition agency, the Federal Cartel Office, fined US software company Microsoft 9 million euros (12 million dollars) Wednesday for imposing a retail price for its Office Home & Student 2007 software. Microsoft said it would pay the fine to avoid a lengthy legal dispute and was reviewing its internal processes in Germany to ensure they complied with German law in future.